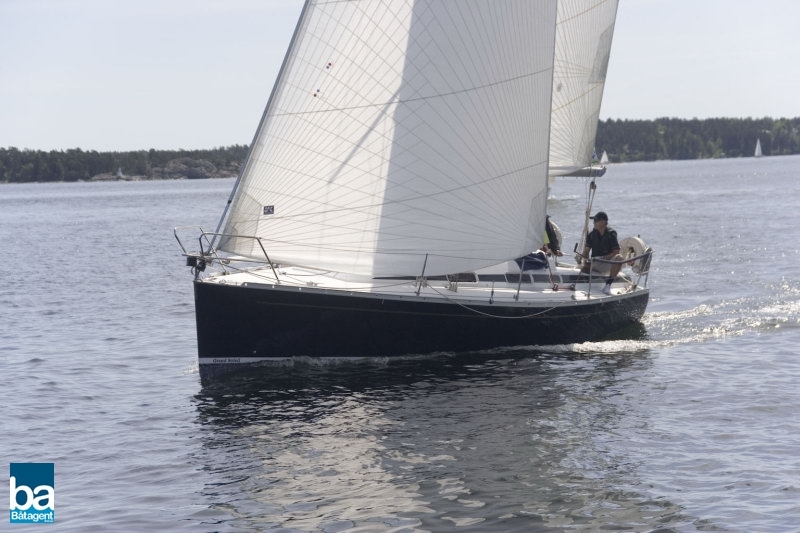 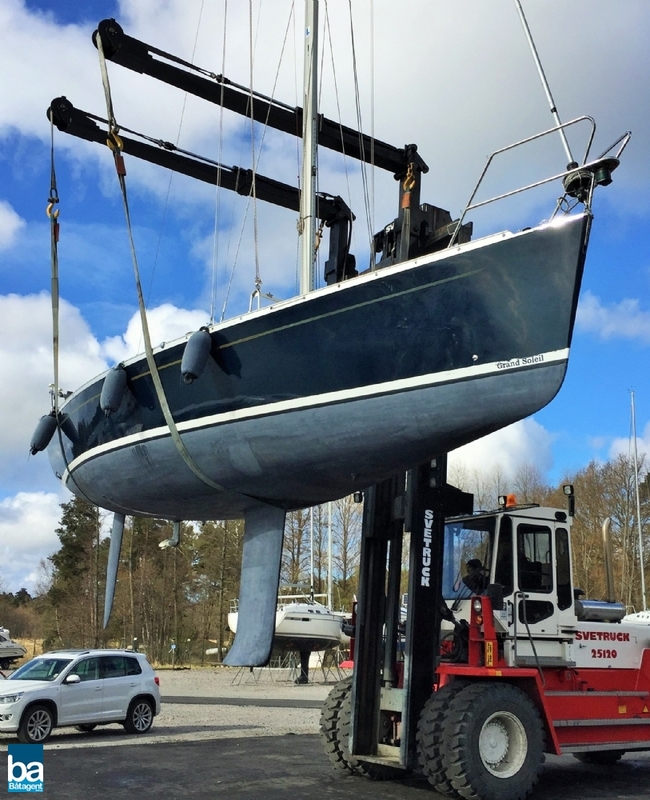 Grand Soleil 34.1 is a fast sailing yacht. 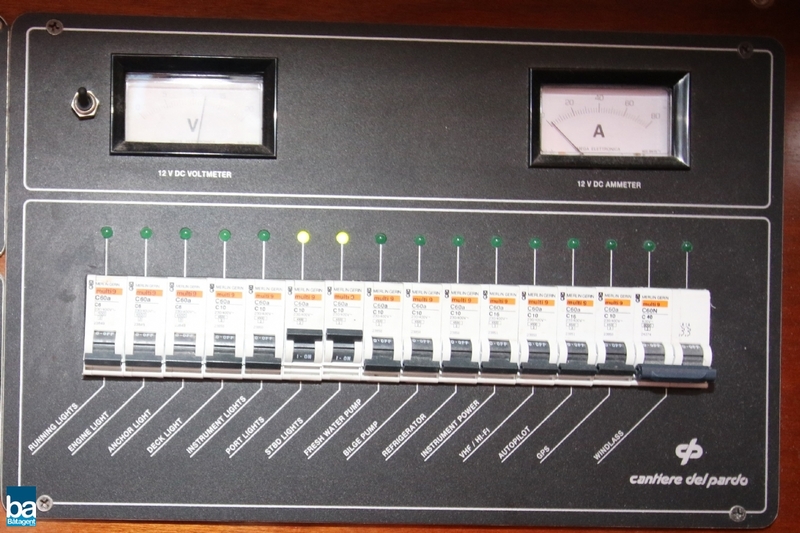 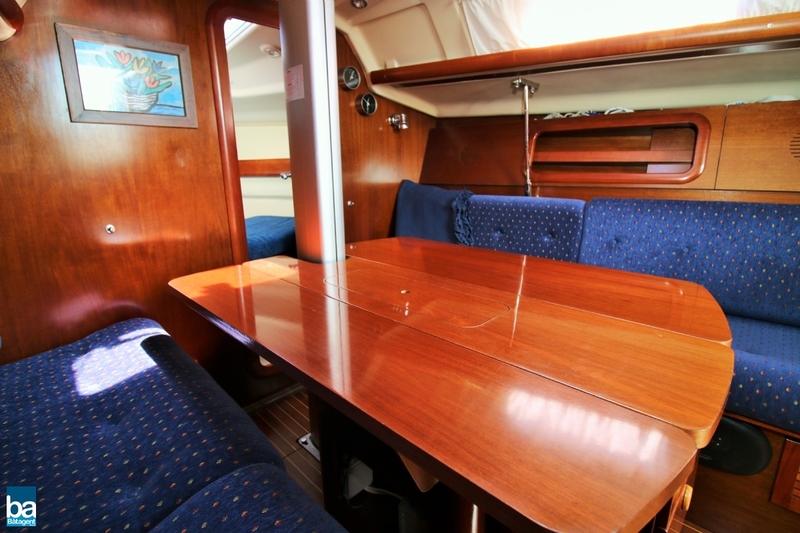 A well equiped Italian crusing/racing yacht. 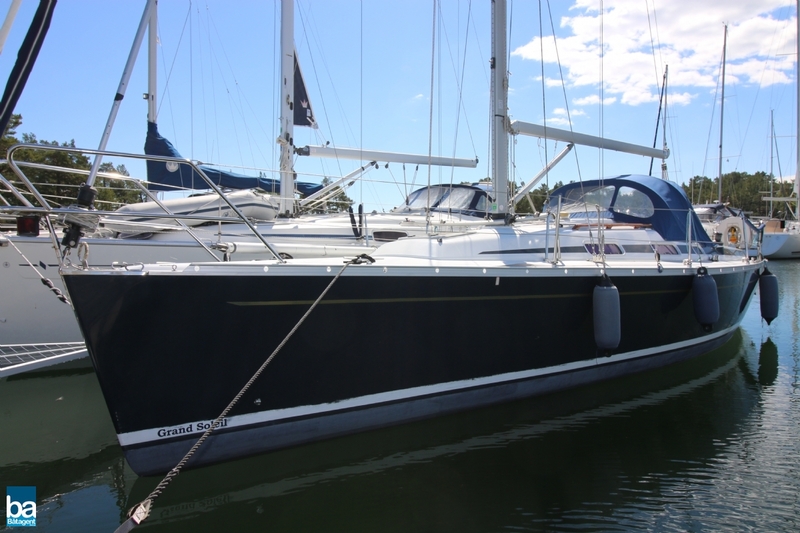 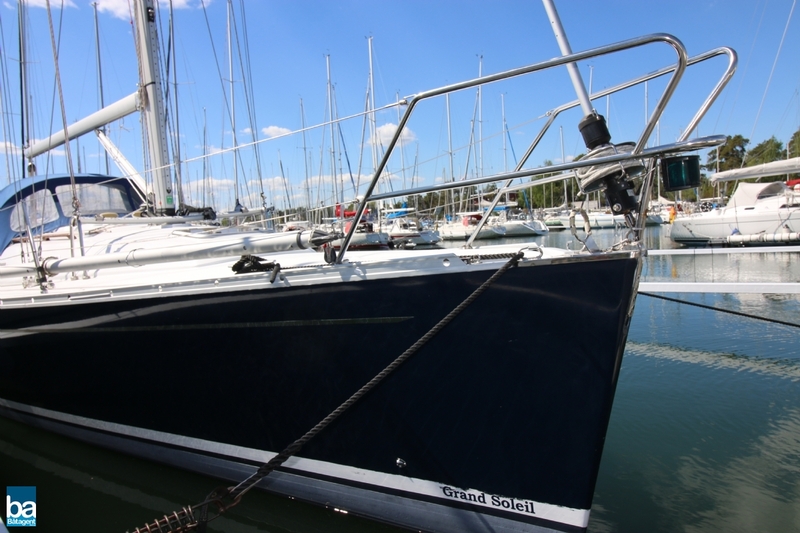 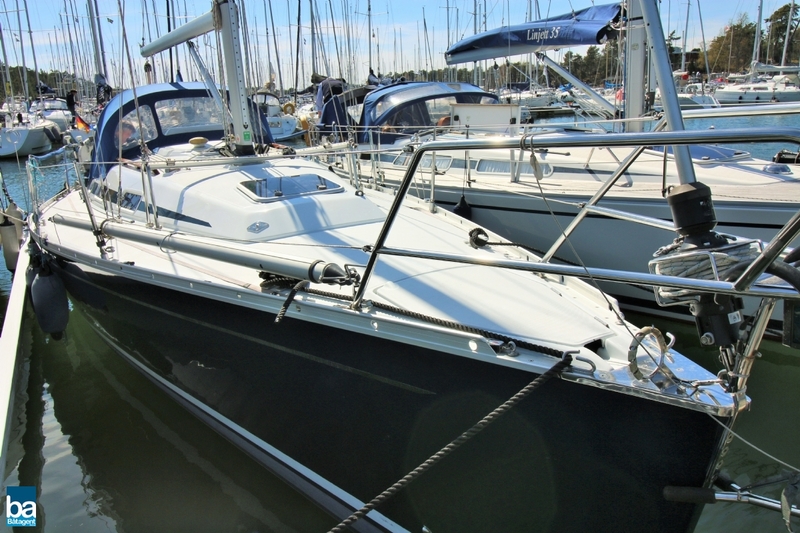 Grand Soleil 34.1 a fantastic sailor and has an easy-to-use cockpit for those who want to sail actively. 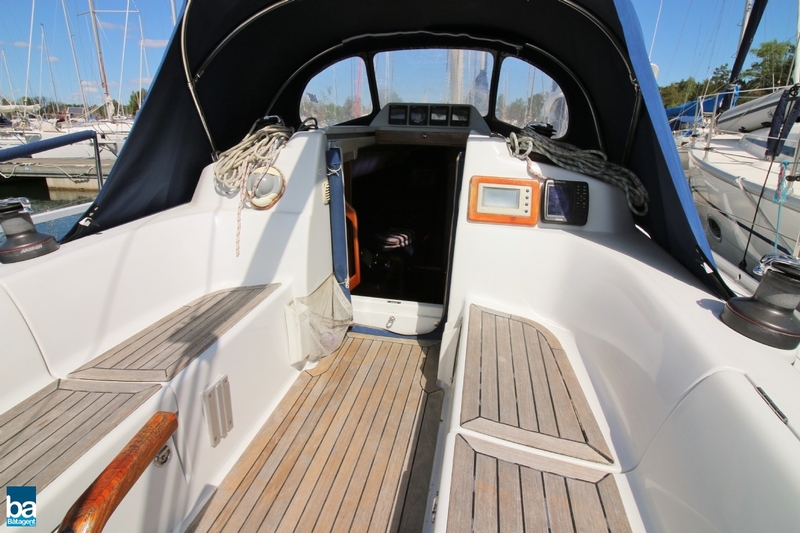 It's a fast cruiser that fits perfectly for those who want to combine familly sailing with some racing to win a club race or just sail faster than the boat in front of you on the bay. 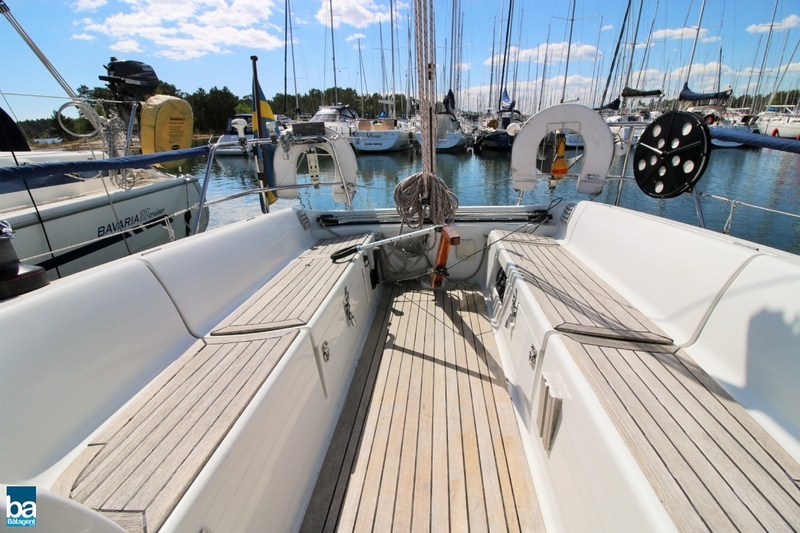 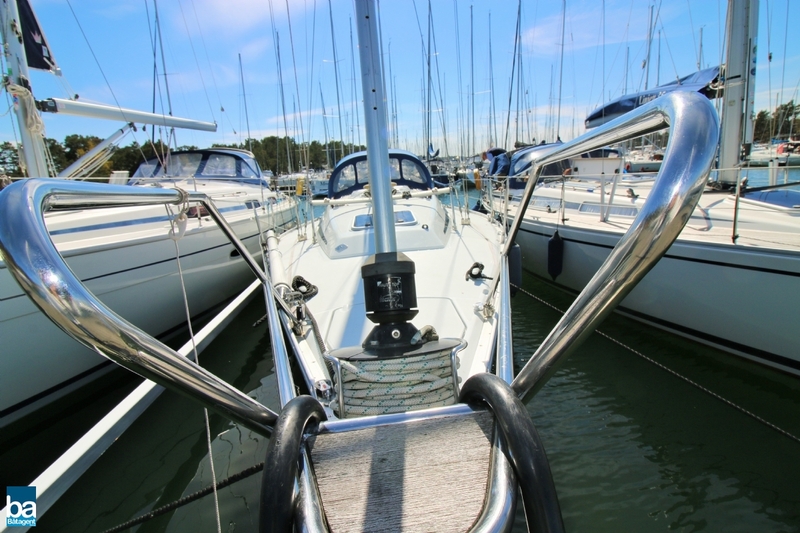 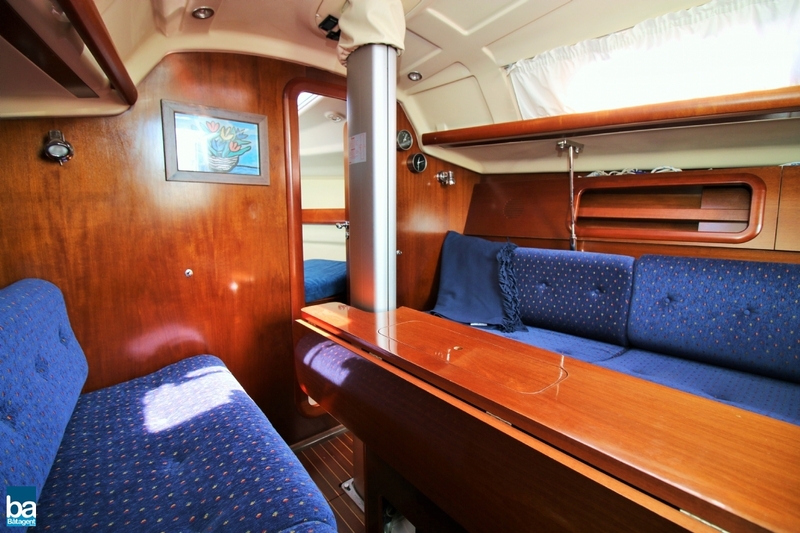 This yacht is very well equipped with a many types of sails and well-functioning navigation equipment as well as electrical systems. 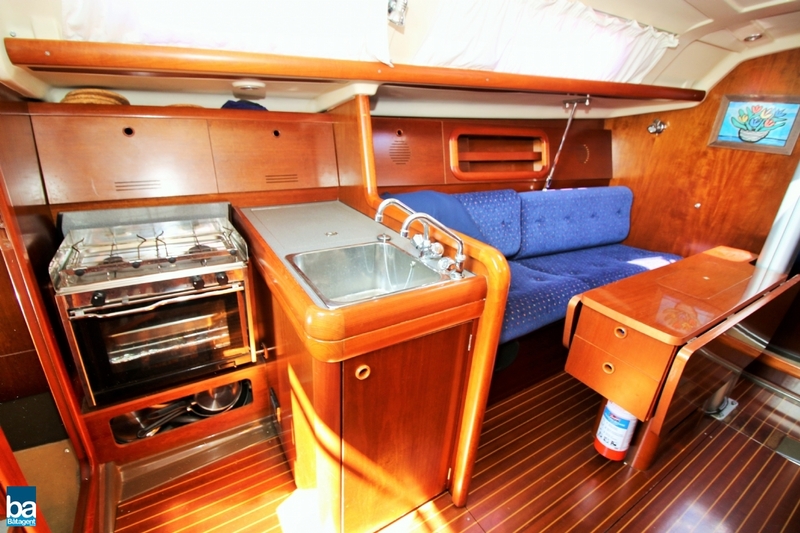 The bright Italian design gives a pleasant and inviting feeling. 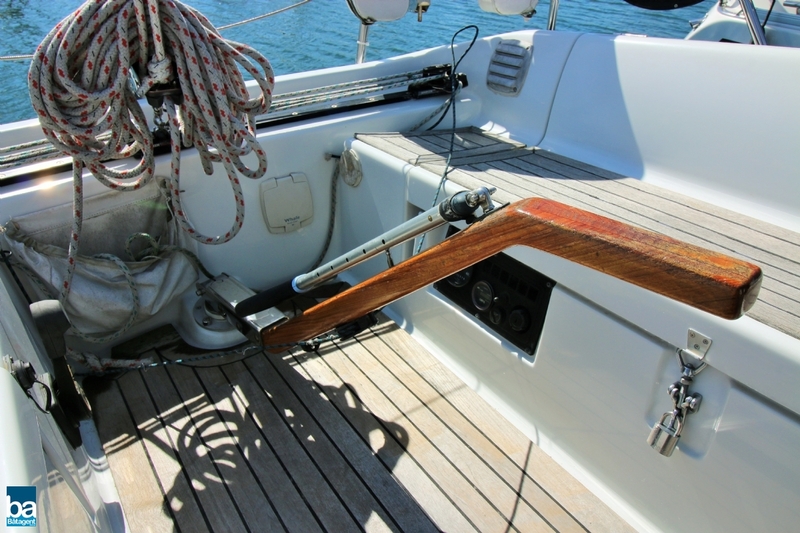 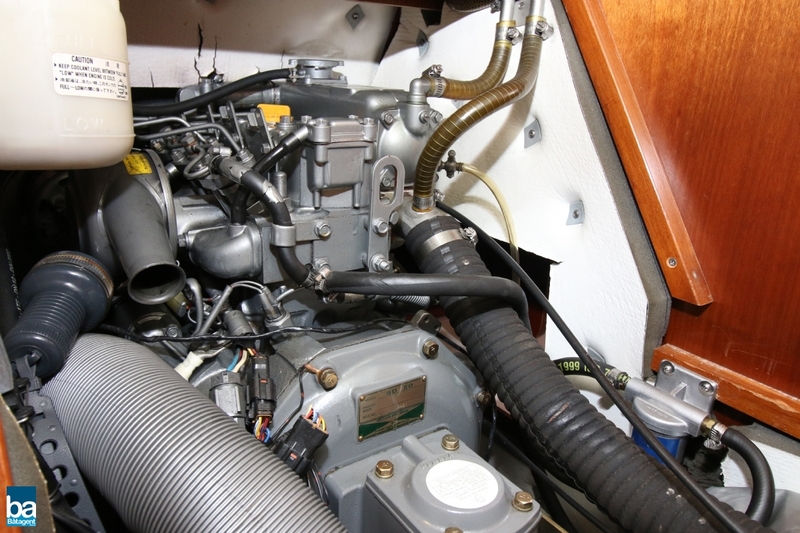 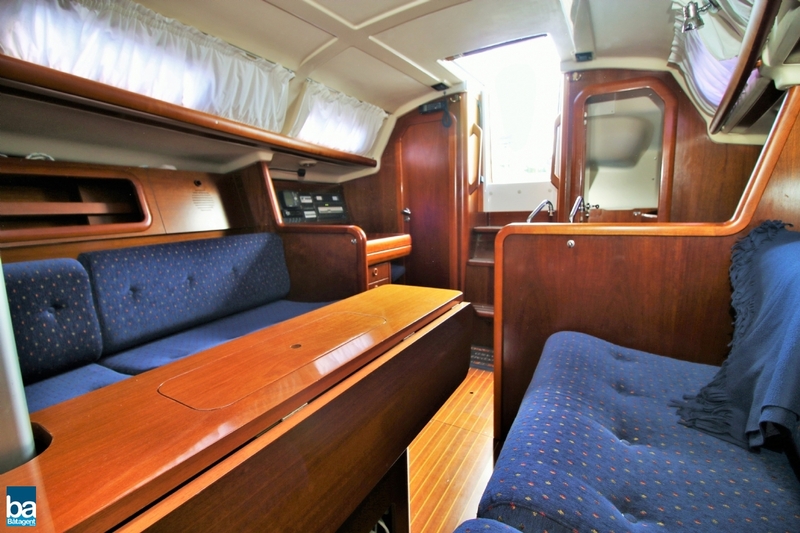 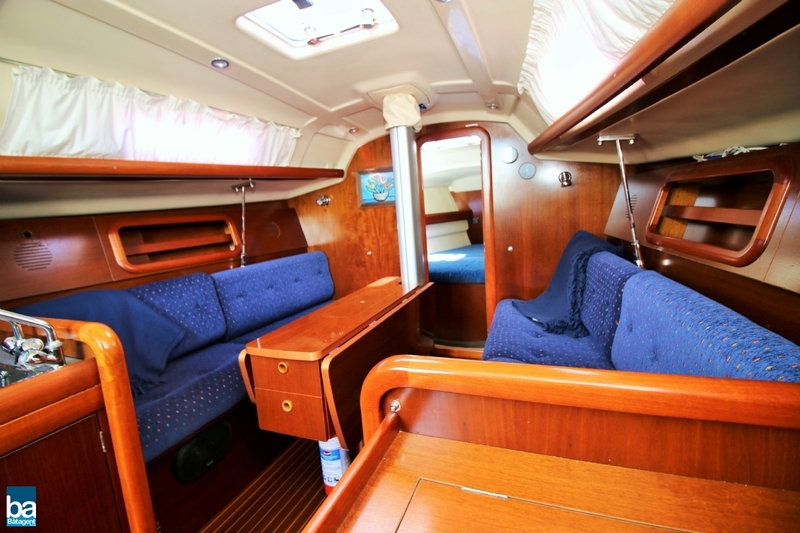 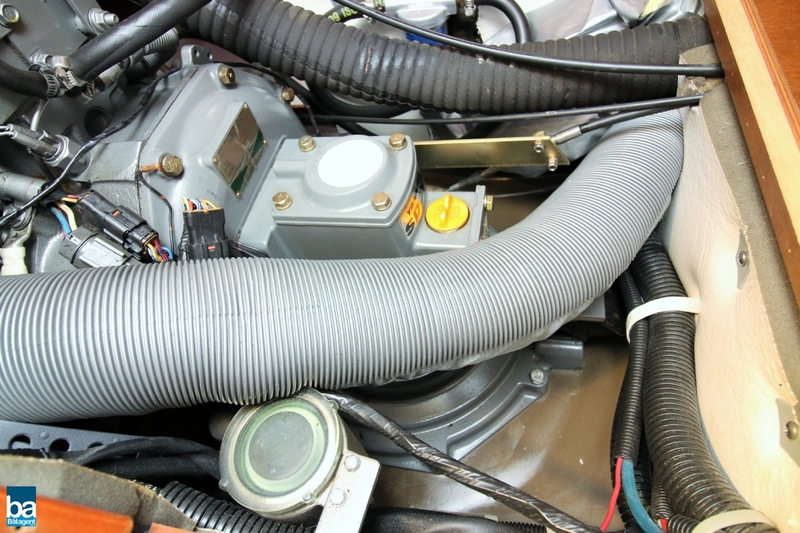 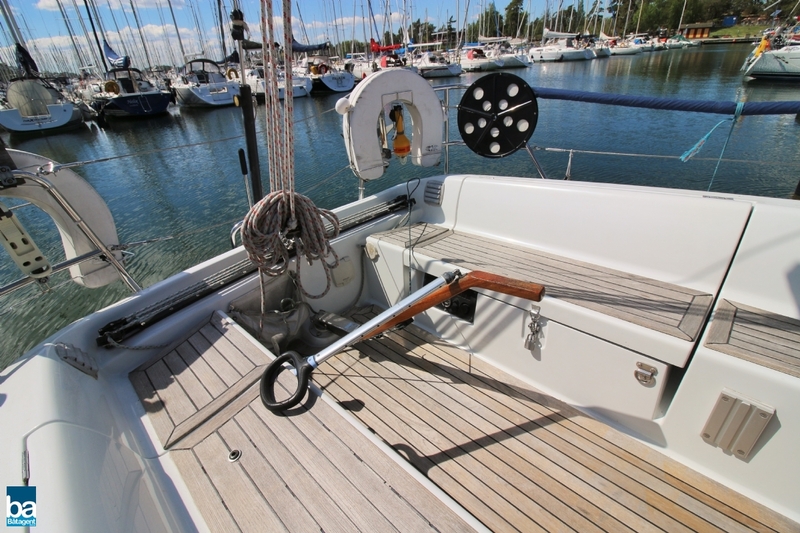 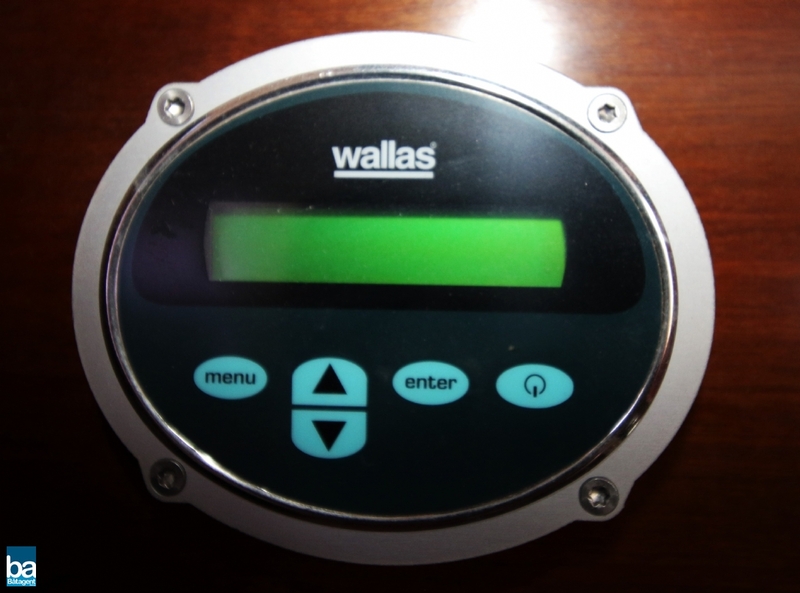 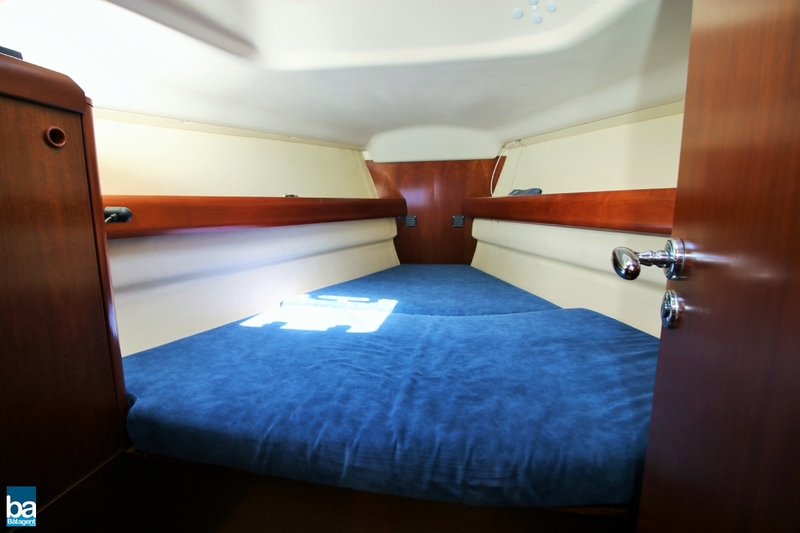 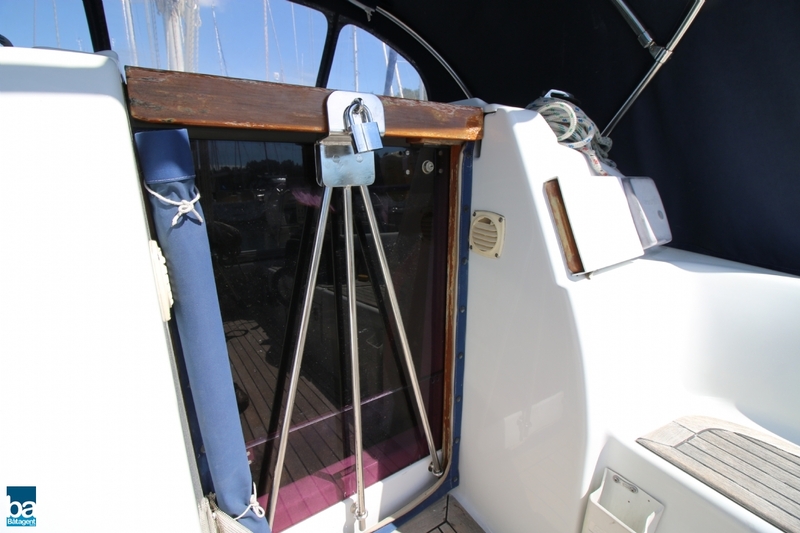 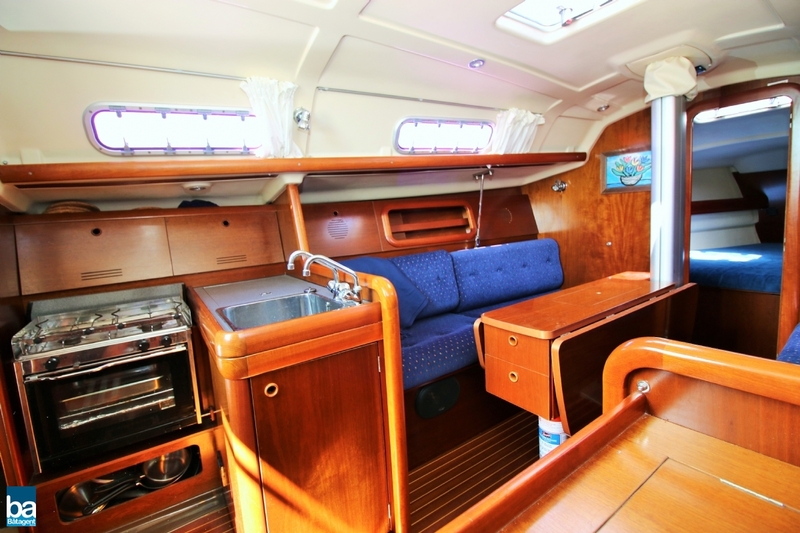 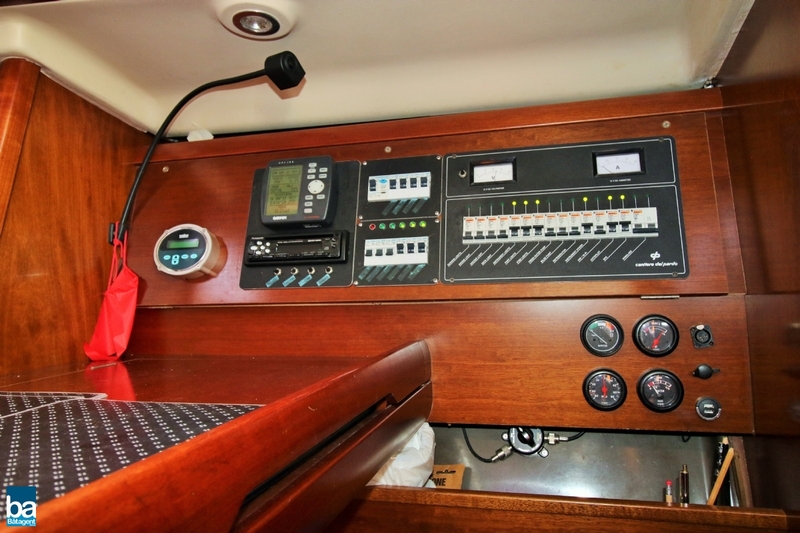 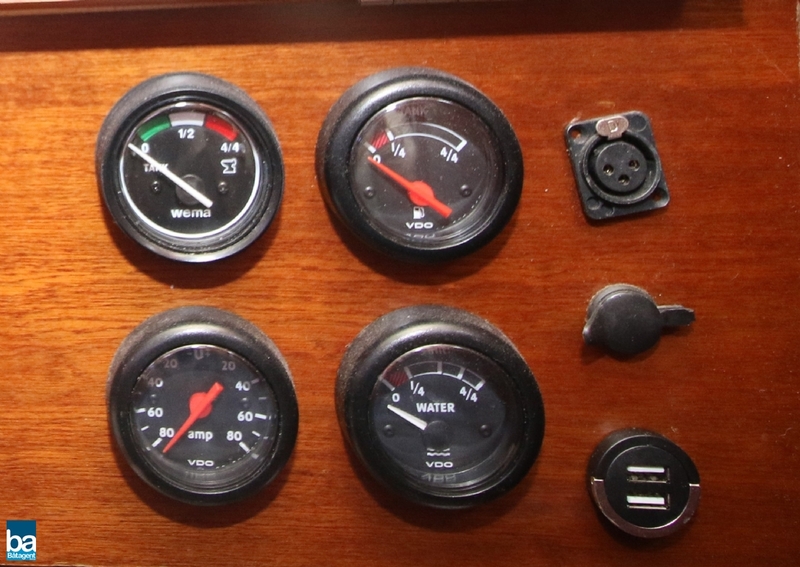 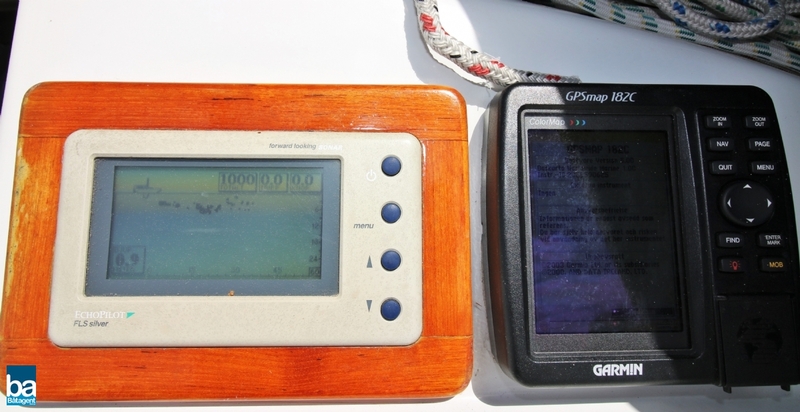 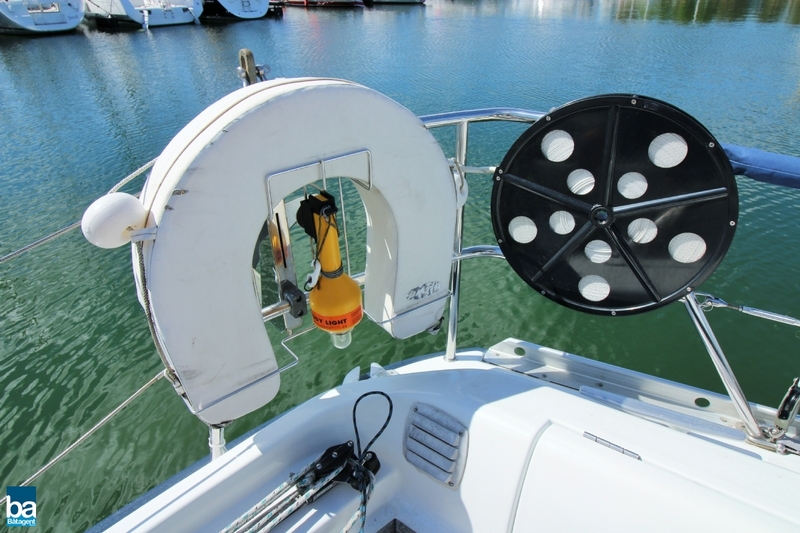 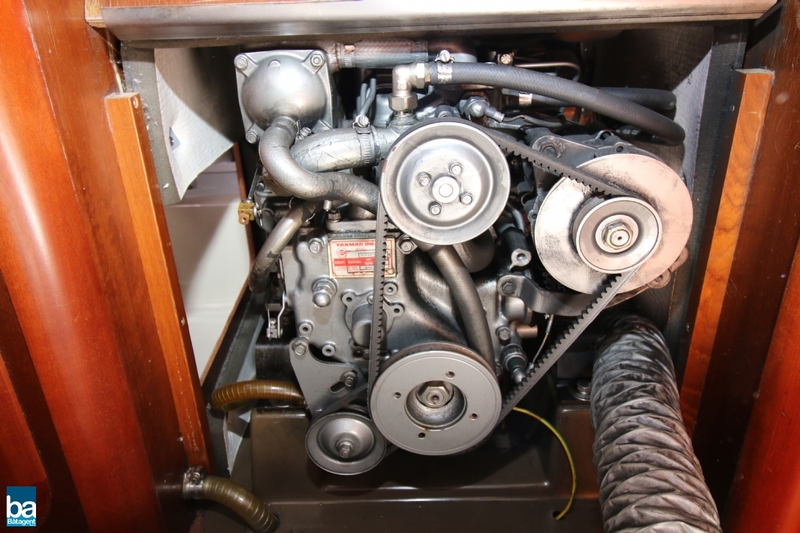 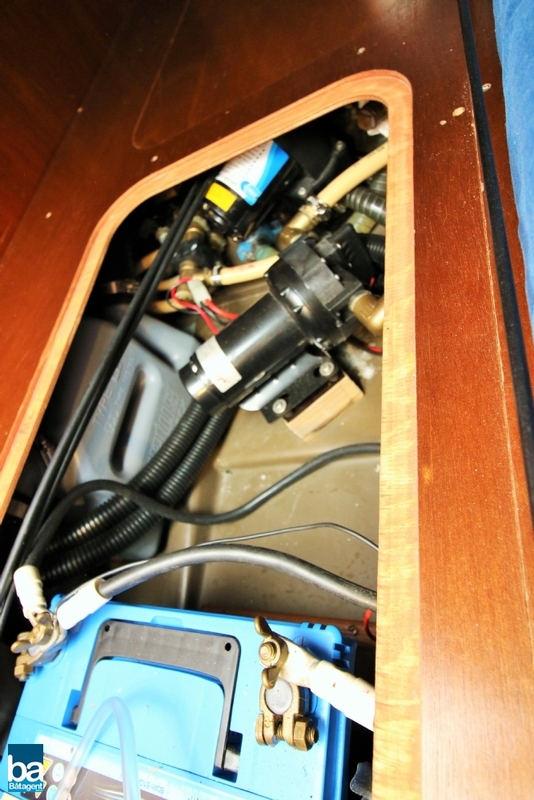 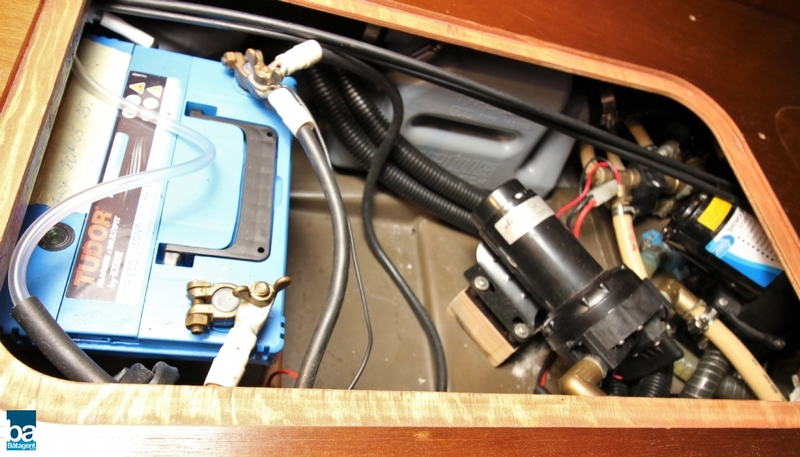 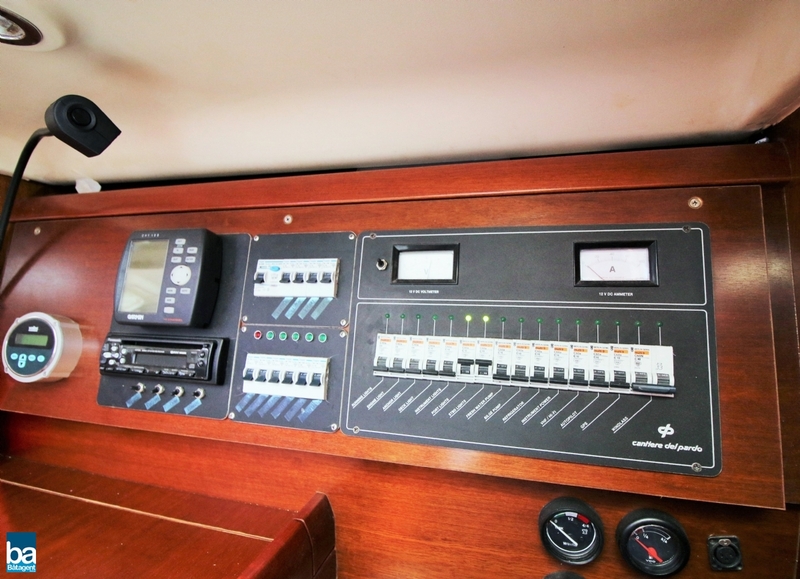 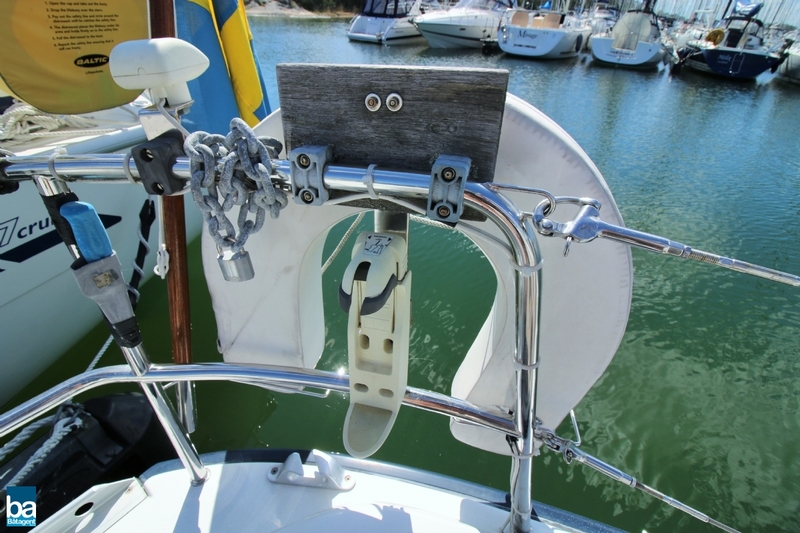 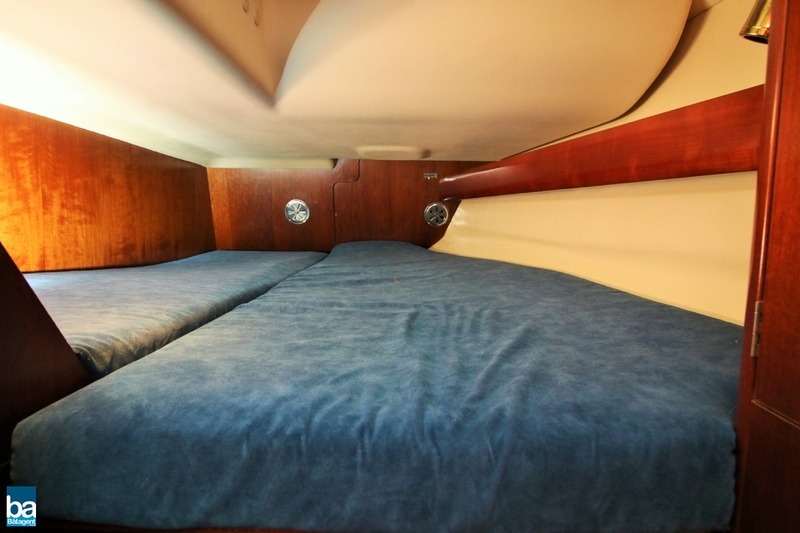 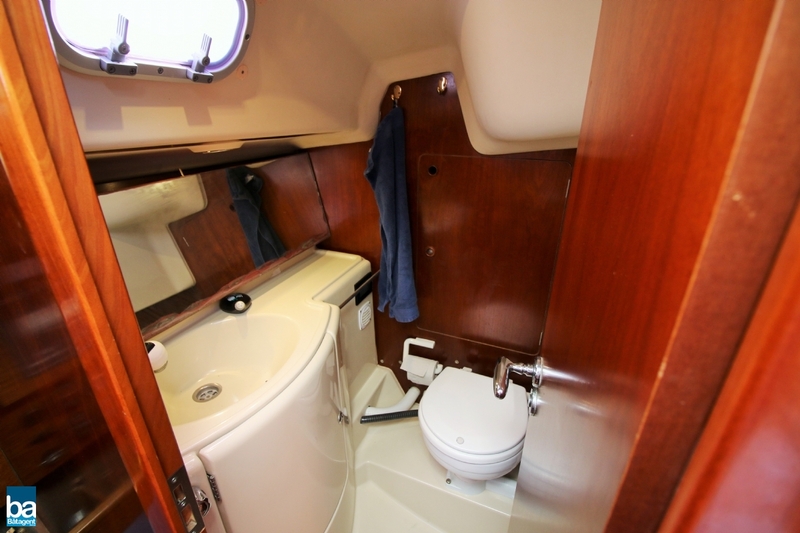 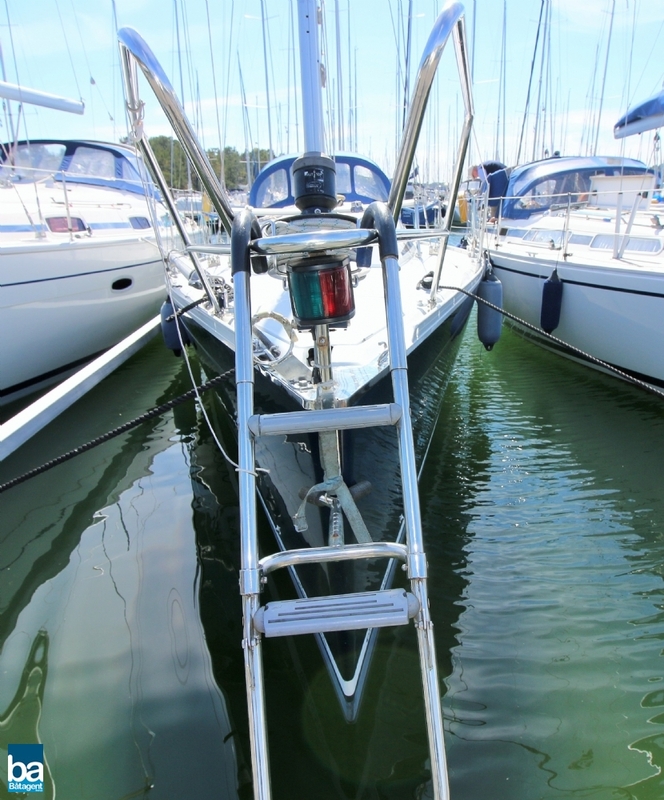 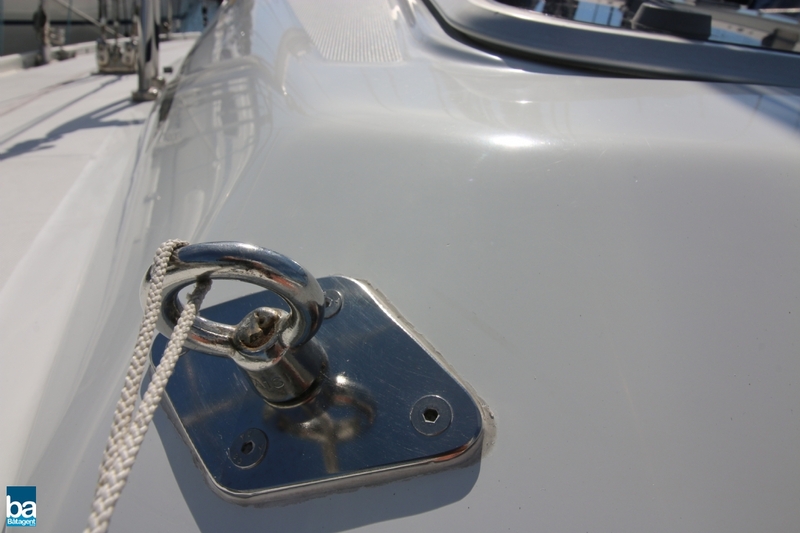 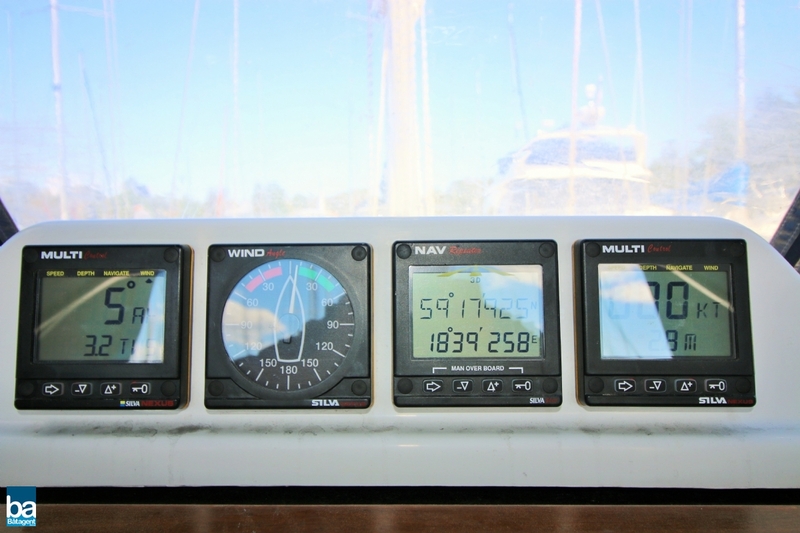 This boat has many practical details like good storage spaces, cabinets and shelves. 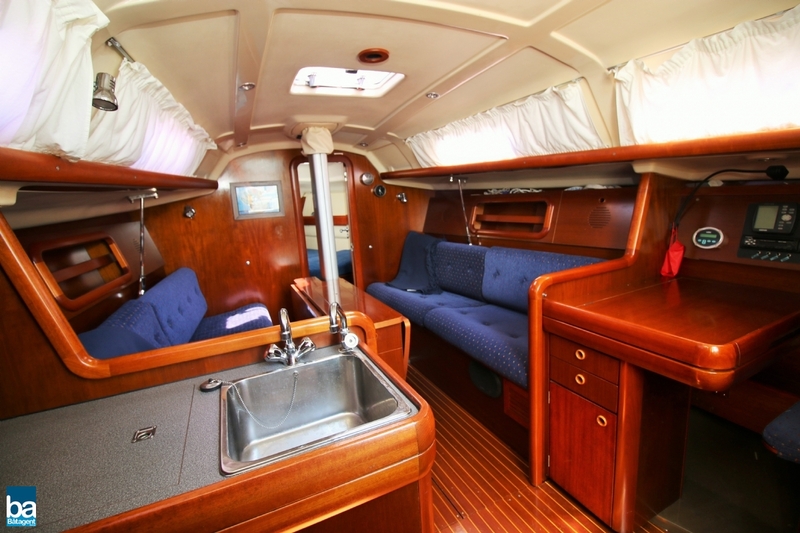 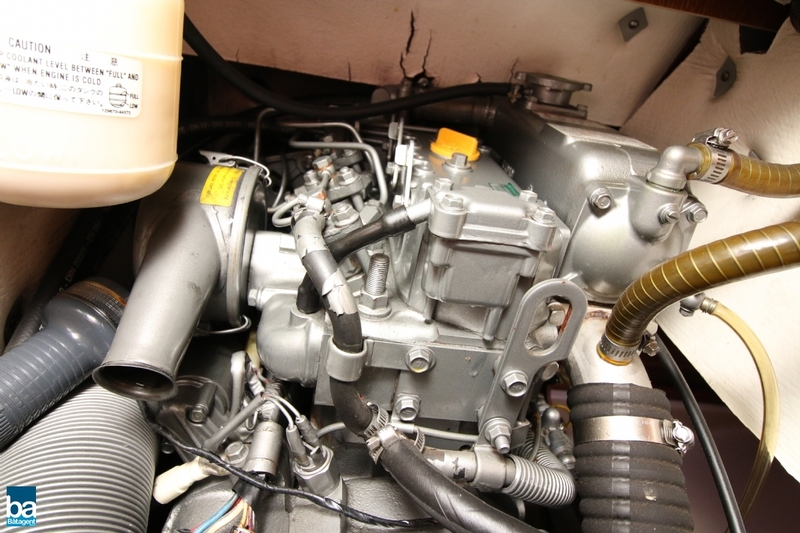 The kitchenette has a refrigerator, gas stove with oven, sink and pressurized water system. 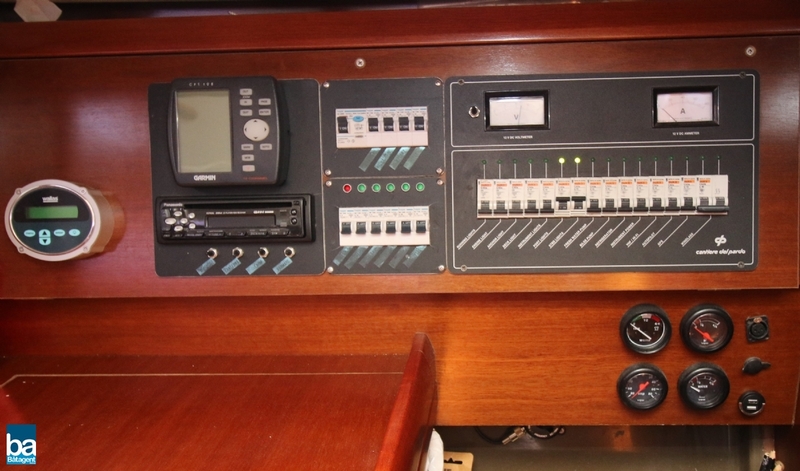 The hull and deck layouts has a modern designe. 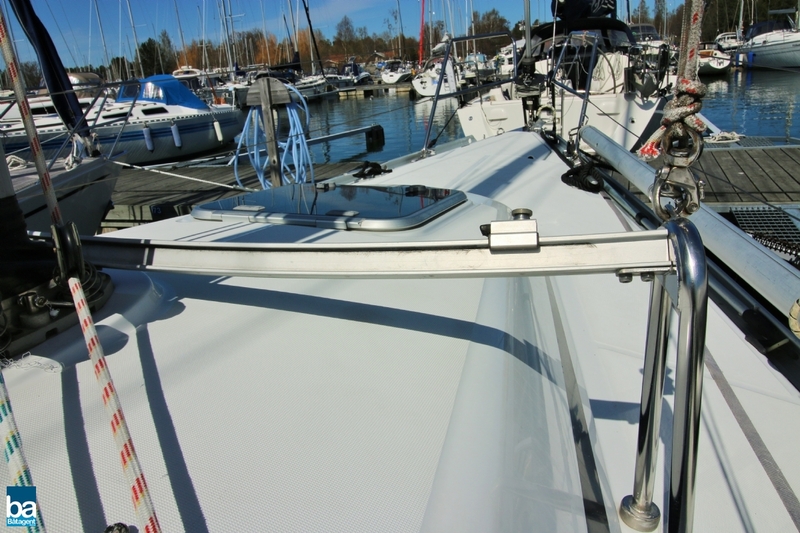 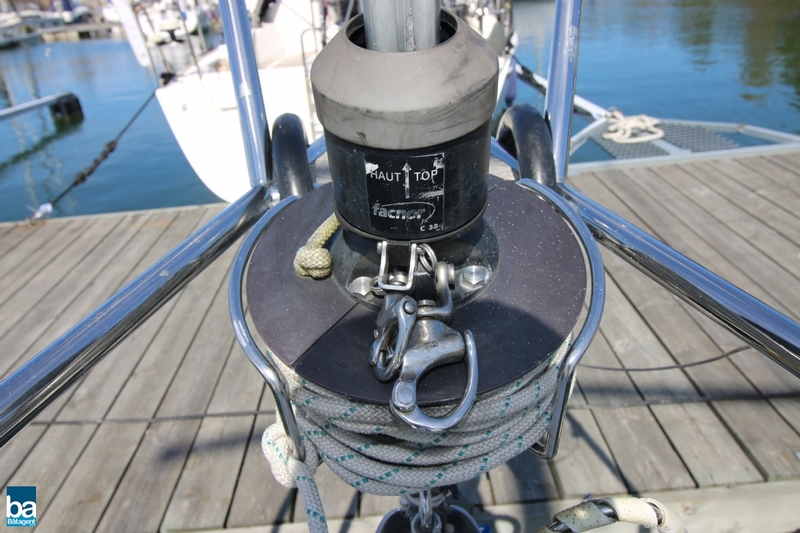 A crusing / racing sailing boat that is easily maneuvered from the large cockpit and easy to sail trim. 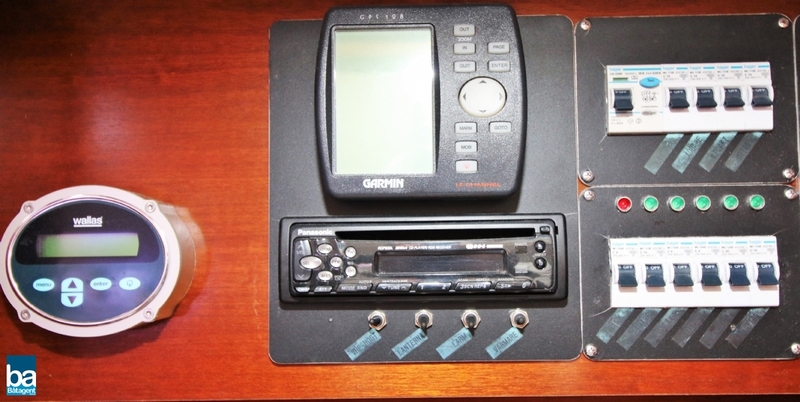 For more information about equipment please see attached PDF-file. 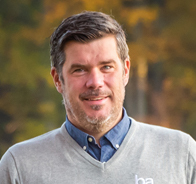 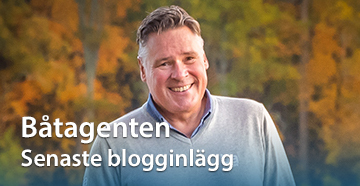 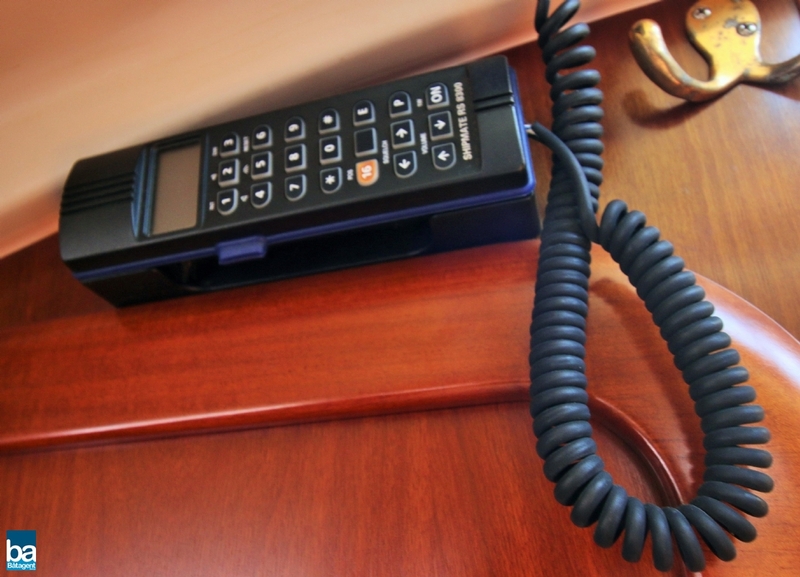 Båtagent can offer you both a financial solution and an insurance solution.